This discount code offer is only applicable when you spend over £50. 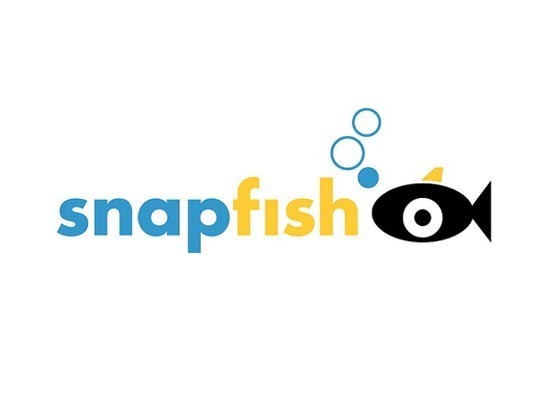 Refer official Snapfish Website to view full Terms & Conditions. People are crazy about taking pictures. But seldom they think that they are creating a memory of a lifetime. Many a time they stay in your phones, laptops or tablets for long years. So in case you have any plans to bring them to life and get a place in your home or office, or simply gift someone with such a memory, you have Snapfish. Snapfish helps you to print your photos in a variety of ways that too at a fraction of price. Now you can save more on these photos by using Snapfish discount codes and voucher codes of Dealslands. With Snapfish, you can print photos, create photobooks, posters, acrylic photo prints, soft toys, cushions, games, different types of cards and calendars. So whether you are getting one for your living room or your office desk, you will find the right type of customization here. You can easily add your photos and get it done by using some creative tools available there. Don’t have the photos on your PC? No issue. You can get the photos directly from your social media accounts like Facebook, Instagram and Flickr. This means you can be sure to print any photos you want. Just sign up at the online site and get your photos printed. In case you don’t have much knowledge about how to get the work done, you can find some how to videos on the website. Just watch the videos and you will get the answers for your questions. Really, it is very simple to get the work done at Snapfish. First of all, choose the kind of the product you want to get printed like a calendar or photobook or a poster. Now choose the photos you want to print and add it to the site. If you don’t have the photos on the device, you can get it from the social media platforms where you have an account. If you want to customize the photos do it or else get it done neatly by the professionals. Now get the photos printed on the product and delivered to you. At Snapfish, you can print a variety of photos for affordable prices. You can easily save on the service by redeeming the discount deals that are present on the website. For example, now you can find 40% off on puzzles, 7×5 photo books, 6×4 acrylics and lunch boxes. You can even manage to save more just by making use of Snapfish discount code that are available at Dealslands. All the promo code are absolutely free and give instant result. Dealslands offers stunning Snapfish voucher code on a variety of products and services for different brands and stores present in the UK. This simply makes it a better place to find deals. Here at Dealslands, you will even find discount deals for the online store like ‘Good Print’. With Snapfish, you can get your favourite old photos revamped and turned into something new and interesting. This can be even the ideal way to gift people something more personal yet effective. So whether it is birthday or wedding get the best gifts from Snapfish. Photos are a reflection of the golden memories of the time you must have spent at some place with someone. The photos depict the special moments of your life which can bring a smile on your face by looking at them. So that’s why everyone wills to make their photos memorable and for that they usually share their pics online or convert them into any personalized item. Snapfish Ireland understands that how important your pics are for you and they provide a platform where you can take all your photo memories to a next level that to at a price you can afford.